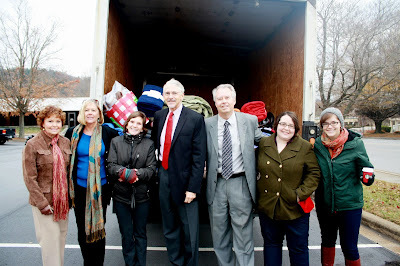 Local, independent insurance agency Insurance Service of Asheville (ISA), in partnership with media sponsor 98.1FM The River, and numerous local donors, collected hundreds of blankets and bedding items for Asheville Buncombe Community Christian Ministry’s (ABCCM) Crisis Ministry during the company’s 4th annual blanket drive held on November 21st. 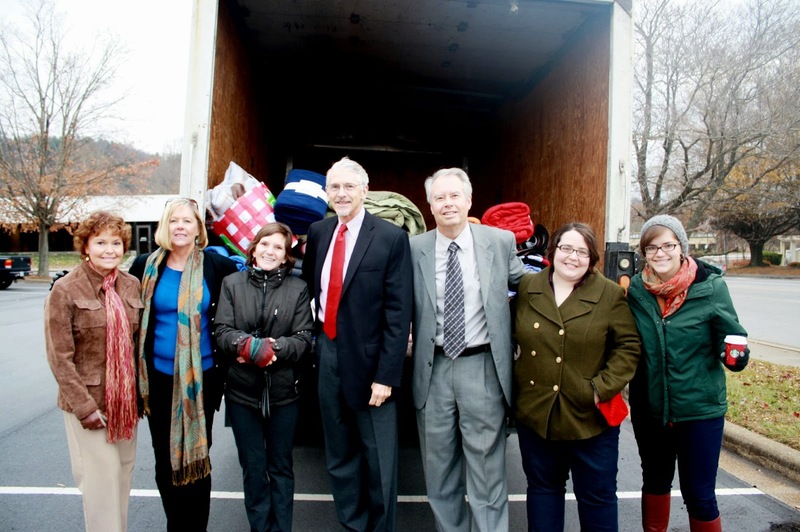 The company’s community initiative to help keep Asheville warm this winter was a two-part outreach program. ISA donated 288 brand new fleece blankets -- enough to cover every bed in ABCCM’s network of residential facilities the organization’s Veterans’ Restoration Quarters and shelters -- and held a community blanket drive. These two efforts netted more than 600 blankets and bedding items for ABCCM’s Crisis Ministry with generous contributions from local businesses and individuals.